Grantham ROCK At Morrisons - Good Friday - Grantham R.O.C.K. 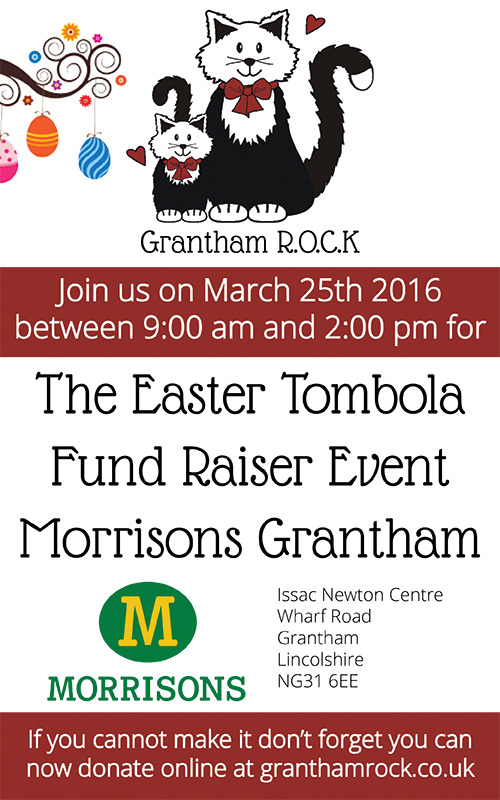 The next Grantham ROCK fund raising event will be at the Morrisons supermarket in Grantham town centre. The address is Issac Newton Centre, Wharf Road, Grantham, East Midlands NG31 6EE. The event is on Good Friday, March 25th 2016 and runs from about 9:00 am until 2:00 pm. 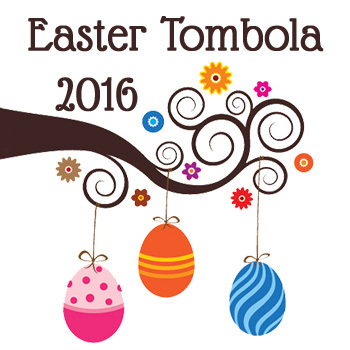 There will be a large tombola with plenty of prizes, including Easter eggs. Cath will be available to answer any questions about the work that she does. As ever, this is a great way to help Cath raise some much needed funds for the cats. Donations of food will also be welcome on the day. The cats and kittens rely entirely on Cath and Grantham ROCK fund raising and all the money raised will be going directly to help the cats, so please support the Grantham ROCK fund raising events.